Sledgehammer's Call of Duty Will Be Developed For "Next-Gen First"
Activision says Sledgehammer's upcoming Call of Duty game is being developed as a "next-gen first" project. Sledgehammer Games is finally getting to make a Call of Duty game of its own and while it may or may not be quite what the studio had envisioned back when it first started on the job, one thing has definitely changed: It will be first and foremost a next-gen project. 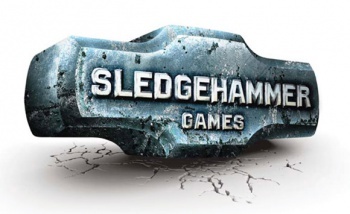 "Sledgehammer is approaching this as a next-gen-first development," Activision Publishing CEO Eric Hirshberg told IGN. "Obviously in the console-transition year, anyone who developed a cross-generational game last year had to deal with the fact that the technology of the next-gen platforms was still coming into focus and changing quite a bit during the development process... Now that we have the next-gen hardware out in the marketplace and solid, that is our primary development." Setting aside the potential confusion over "next-gen," which I had assumed would now be "current gen" since the Xbox One and PlayStation 4 (and Wii U if you want to include it) are currently available for purchase at a number of fine retailers near you, the focus on the new hardware is a big part of why Activision recently moved to a three-year, three-team development cycle for the Call of Duty franchise. "We've got more capabilities than ever before to play with and we want to make sure our developers have the time to innovate, iterate, to bring the best creative vision and the most possible polish to each and every game," Hirshberg said. It will be a great current-gen game as well, he added, referring to the Xbox 360 and PlayStation 4, "but it will be next-gen-first production and the current-gen game will be a version of that."